I've been on the fitness tracker game for a few years now, on and off. My Jawbone UP stopped working a few months back, and they've been experiencing some business issues, so I didn't want to repurchase. When I saw that Kate Spade was releasing fitness or "activity" trackers I immediately jumped on board. I ordered it as soon as I got the email, and fell in love. This is a stylish fitness tracker, that is comfortable to wear and pretty much goes with any outfit or arm party. It doesn't cramp your style, which is what I always hated about regular fitness trackers. They always ruined the entire look, but I wanted to wear it because I needed to account for my steps! 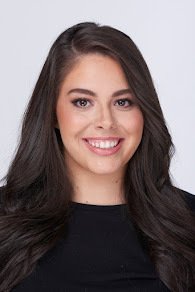 The Kate Spade tracker is very easy to use; it has only a few features and to me, the most important ones. It tracks your sleep, steps, and water intake. For that reason, it's very easy to use and follow. Sometimes, fitness trackers have a lot of useless features, well useless to me. I'm not a fitness buff, I don't need a lot of fancy features in my fitness tracker. I use it to manage my steps & mostly my sleep. It's not a necessity to my lifestyle, so that's why the Kate Spade tracker was the ultimate fit for me. That is, until I went to College Fashion Week and got a FREE FitBit. I never liked FitBits because the look of them was always so bulky. I know that they were basically the original fitness tracker but I didn't care, Jawbone was always more delicate and my speed. But, the FitBit Flex 2 looks like a Jawbone Up, but is not nearly as nice as the Kate Spade one. The FitBit is also a bit more complicated that Kate Spade; it has more features; it tracks your food, weight, and exercise. You can also do challenges, and it tells you how many calories you're burning. The FitBit is truly those who live and breath fitness and need something more intricate and detailed. At first, I hated it; the app was annoying me, and I just couldn't get used to it. I much preferred the Kate Spade app and look of the tracker. I struggled with the decision for a bit, but I ultimately returned the Kate Spade one because, well, the FitBit was free. As I'm writing this, I'm being reminded of how much I loved and enjoyed the Kate Spade tracker and I'm thinking I may have to repurchase it as a birthday or Christmas present to myself. 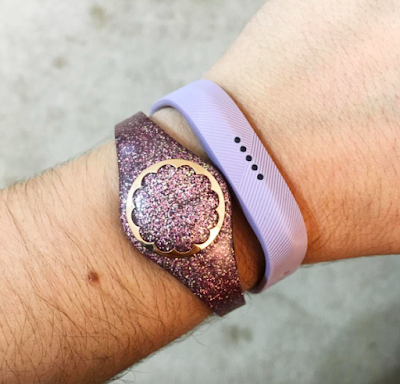 Do I prefer the Kate Spade tracker to the Fitbit? Yes, I do. For what I use it for. I think if you just want to track your steps & sleep, you're better off with a simple tracker. If you're really into the gym and health and fitness, you're better off with the FitBit. What are your thoughts on fitness trackers?